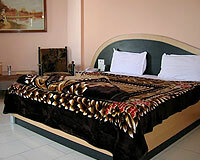 Hotel Jazira is located close to the Devka Beach. 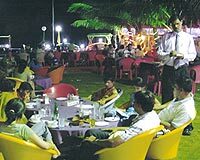 Hotel Jazira is one of the finest retreats in the beautiful picturesque havens of Daman calmly resting by the side of the Arabian Sea. 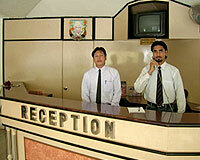 You shall enjoy the finest facilities and the best of service during your stay here. 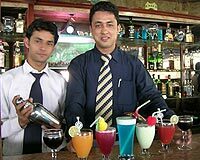 At Hotel Jazira one can engage in different types of recreational sports. Clean and comfortable, the accommodation facilities at the Hotel Jazira are excellent and comprise of 27 twin bedded rooms. 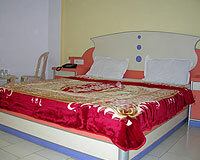 All the rooms are equipped with shower, television (with video and music channel), and internal telephone.